ASHS members produce solid wooden floors from Scottish hardwoods - Oak, Beech, Elm, Ash, Birch and also European Larch. Usually our members supply flooring to order, making each individual floor from their own timber stocks. These wooden floors have a lot of character, with beautiful markings e.g., cats paws, knots and interesting grain patterns on the elm and oak floors. If you choose a wooden floor thatâ's made from Scottish grown hardwood, you really will buy something that's unique and meaningful. Scottish wooden flooring is available from several ASHS members do remember to order well in advance as lead times vary from one sawmill to the next and also vary depending on the species. Oak flooring is traditional and popular: oak floors are a warm biscuit colour, which darkens when the floor is finished, particularly if its finished with oil and wax. They also wear well. Ash floors look quite different. They tend to have more colour variation, arising from the contrast between shades of olive brown and pale cream in the heartwood. Many of the planks will exhibit the characteristic ash figure oval waves of light and dark, spring and summer, wood. Ash is a particularly tough wood, so it's a good choice for floors that need to resist impact. Elm floors are unpredictable. There's a lot of variation in the grain pattern and a lot of character marks in the wood. Plus, elm usually has different colours running through it streaks of green, brown, even purple. 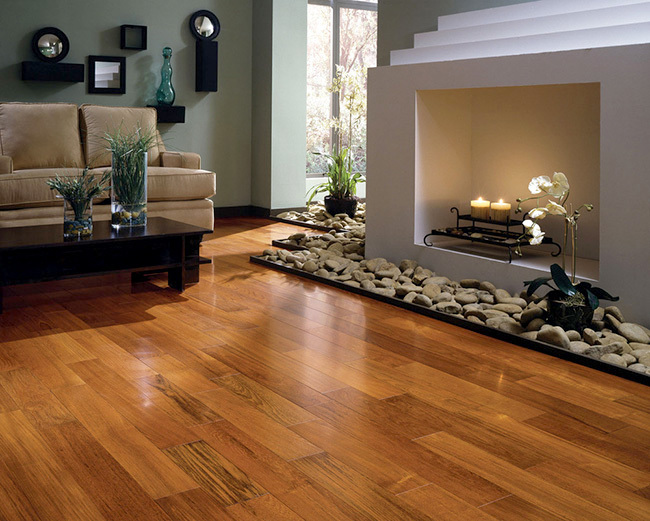 Overall, elm tends to be similar in colour to oak, but elm flooring may have darker areas. Birch and sycamore are paler than elm, ash and oak floors. Both are fairly uniform in colour, with planks exhibiting similar subtle figure. Birch is a light brown almost golden colour wood, resulting in a bright floor that looks particularly good in a room with lots of sunlight. Sycamore is creamy with a natural lustre.